The official info has been announced for both The Art of Godzilla: King Of The Monsters book, and Godzilla: King of the Monsters Official Movie Novelization. Both are releasing after the film will be released in theaters but can be pre-ordered now. Check out the details for both below and pre-ordered links. The Art and Making of Godzilla: King of Monsters is an in-depth behind the scenes look at the epic movie from Legendary Pictures and Warner Bros. Pictures. 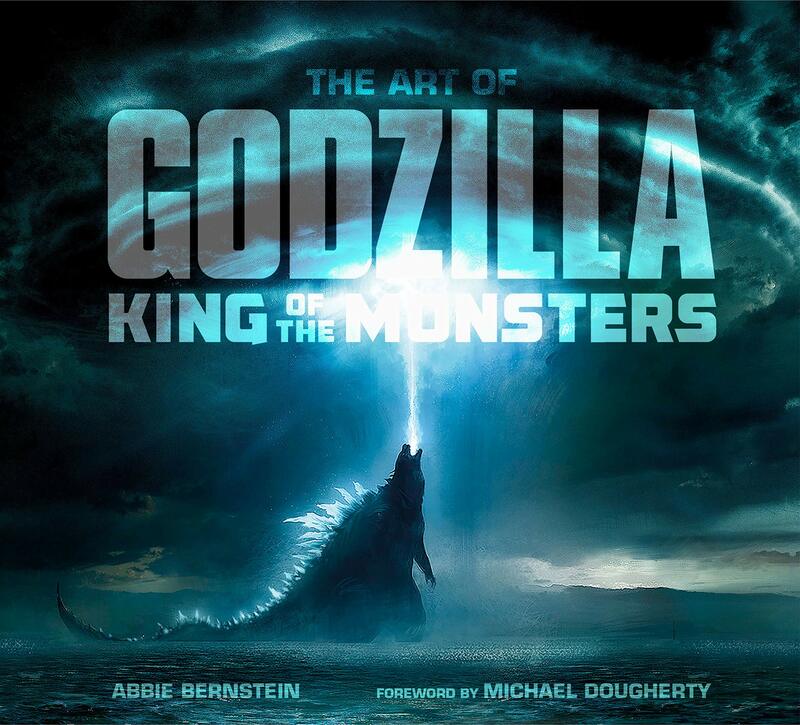 Packed with beautiful concept art, on-set photography, and detailed insight from key members of the production, this beautiful book tells the story of how Godzilla and his foes were brought to life. Abbie Bernstein is the author of The Art of Mad Max: Fury Road, Fantastic 4: The Making of the Movie, The Guild: The Official Companion, and The Cabin in the woods: Official Visual Companion. As well as also working on the Much Ado About Nothing: The Official Screenplay and Alien: The Archive books, Abbie writes regularly for magazines, including Assignment X, Fangoria, and Buzzy Mag. The official novelization of the summer blockbuster Godzilla: King of the Monsters, the latest film in the MonsterVerseTM franchise, starring Kyle Chandler, Vera Farmiga, Millie Bobby Brown, with Ken Watanabe and Ziyi Zhang. 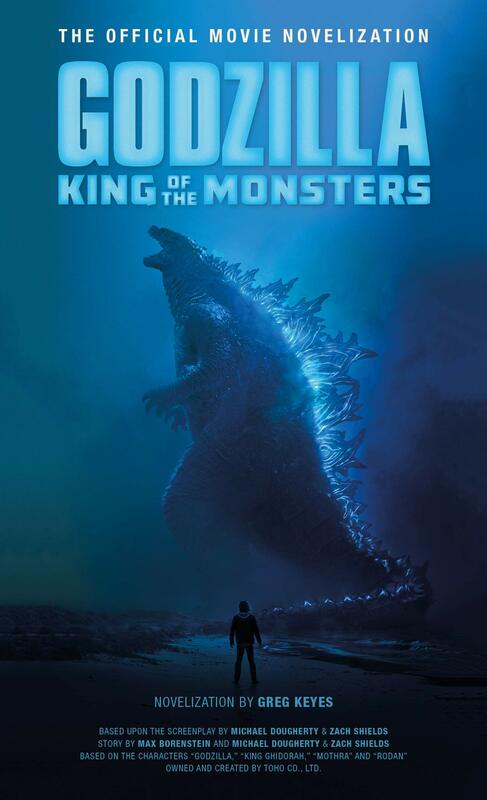 Godzilla: King of the Monsters follows the heroic efforts of the cryptozoological agency Monarch as its members face off against a battery of god-sized monsters, including the mighty Godzilla, who collides with Mothra, Rodan, and his ultimate nemesis, the three-headed King Ghidorah. When these ancient superspecies, thought to be mere myths, rise again, they all vie for supremacy, leaving humanity's very existence hanging in the balance. LOS ANGELES, October 25, 2018 – In anticipation of next summer’s big-screen blockbuster, Godzilla: King of the Monsters, Legendary Comics announces the thrilling companion graphic novel GODZILLA: AFTERSHOCK, written by Arvid Nelson, with art by Drew Edward Johnson. Continuing the story of 2014’s Godzilla after the catastrophic events in San Francisco, the King of the Monsters finds himself once again threatened as a terrifying new foe rises from the depths of the earth, unleashing a series of devastating earthquakes and driven by an unstoppable primal instinct that will test the King of Monsters like never before. 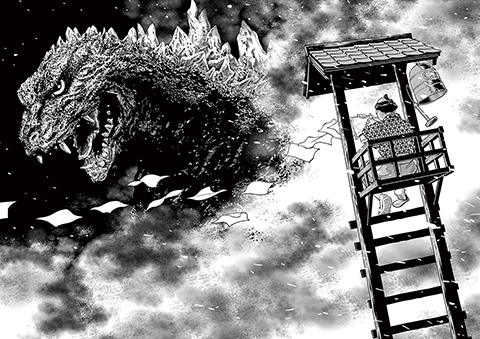 Godzilla: Aftershock will be available online and in stores in Spring 2019. Follow Facebook.com/LegendaryComics for the latest news and updates. Fans attending Los Angeles Comic Con are invited to get a sneak peek of GODZILLA: AFTERSHOCK at the Legendary Comics panel “Godzilla: Secrets of the MonsterVerse” in Room 403B on Saturday, October 27 at 3pm. 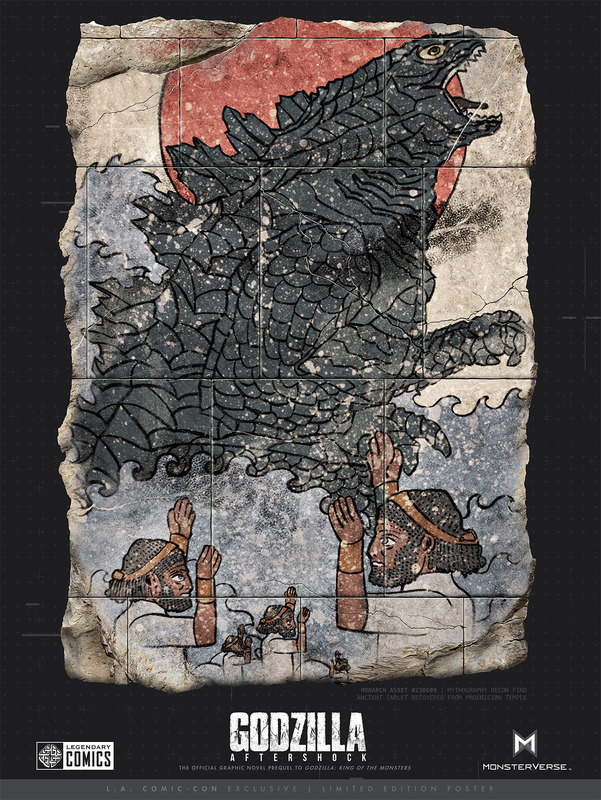 The first 500 fans in attendance will receive an exclusive signed/numbered Godzilla poster only available at the panel. For more information, please visit: https://www.comicconla.com/. Legendary Entertainment and Warner Bros. Pictures’ Godzilla: King of the Monsters will be released in theaters nationwide on May 31, 2019. The official prequel graphic novel to the major motion picture, Godzilla: King of the Monsters. Continues the story of the feature film, Kong: Skull Island. 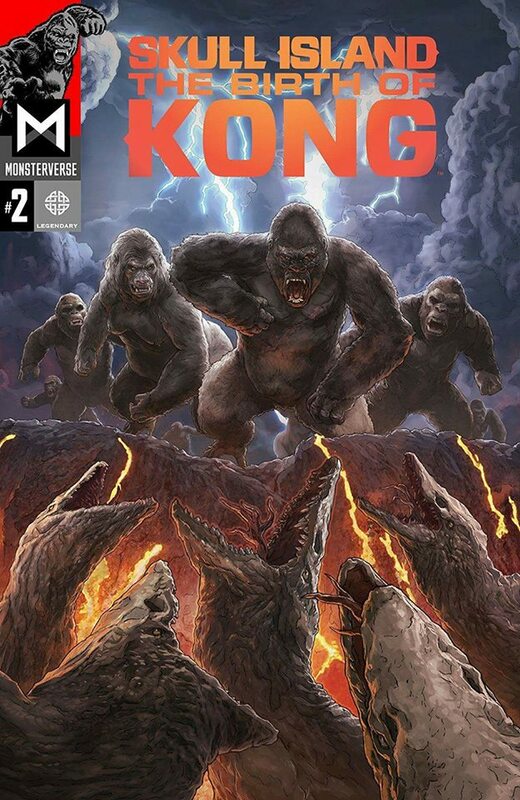 As the ultimate monster icon returned to the big screen in the highly anticipated film Kong: Skull Island, Legendary Comics expanded the story of King Kong with an exciting new comic series. Readers will join the mysterious organization Monarch on a mission into myth, revealing the untold origins of this god-like creature and the battle for survival that made him the last of his kind. Collects issues #1-4, plus exclusive back matter with monster profiles. 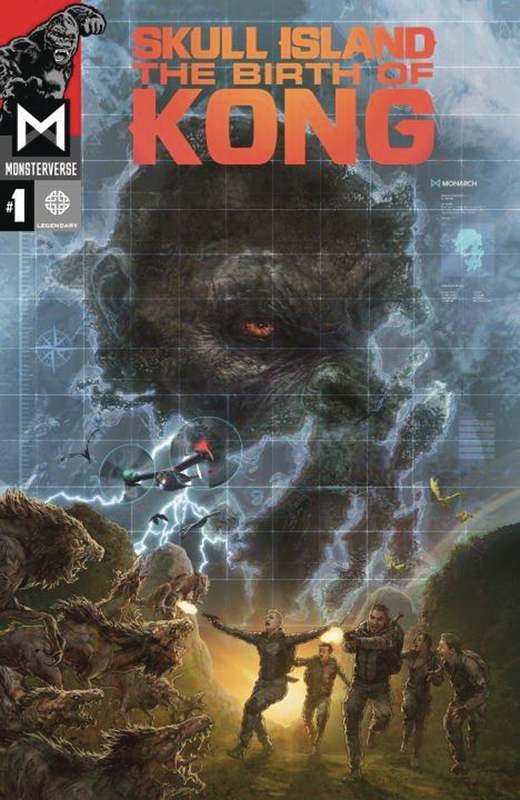 As the ultimate monster icon returns to the big screen in the highly anticipated film Kong: Skull Island, Legendary Comics expands the story of King Kong with an exciting new comic series. When disaster strikes on Skull Island, Monarch find themselves on what might be a one-way mission. While Kong battles for his Kingdom, our heroes must find a way to bring the truth to the world. As the thrilling series concludes, dramatic revelations point to the future of the MonsterVerse! 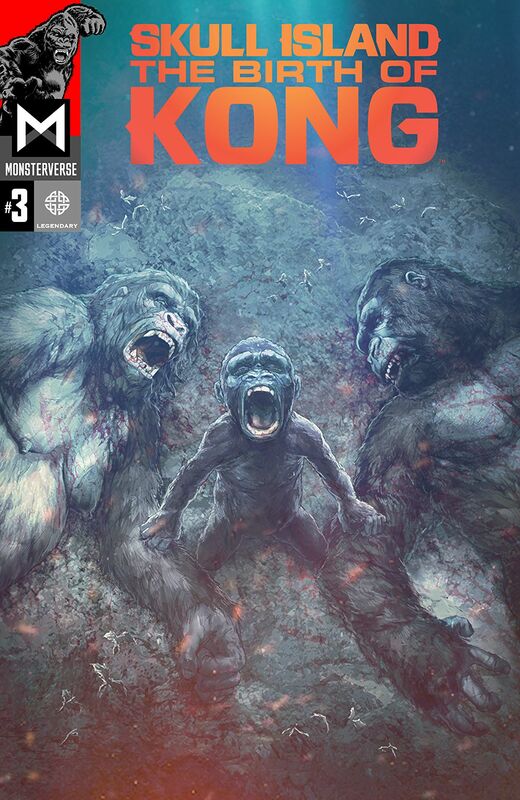 As the ultimate monster icon returns to the big screen in the highly anticipated film Kong: Skull Island, Legendary Comics expands the story of King Kong with an exciting new comic series. 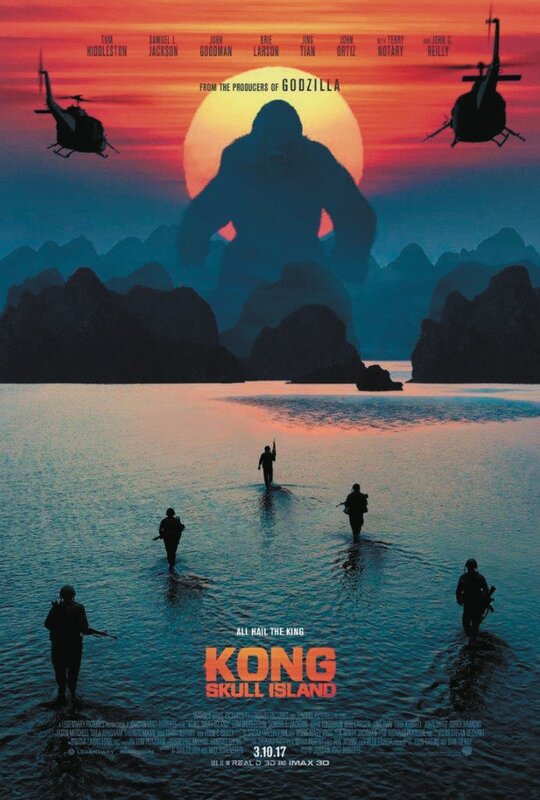 Fighting to survive against never-before-seen creatures, the Monarch team moves deeper into the uncharted mysteries of Skull Island as more of the secret of Kong's past are revealed. Note: the official title of this comic changed since the first issue was solicited. As the ultimate monster icon returns to the big screen in the highly anticipated film Kong: Skull Island, Legendary Comics expands the story of King Kong with an exciting new comic series. Readers will join the mysterious organization Monarch on a mission into myth, revealing the untold origins of this god-like creature and the battle for survival that made him the last of his kind. Note: this is based on the film and unrelated to the BOOM! series. The new book was released in Japan the end of November for approx $32 US, check out all the info here (note it is in Japanese). 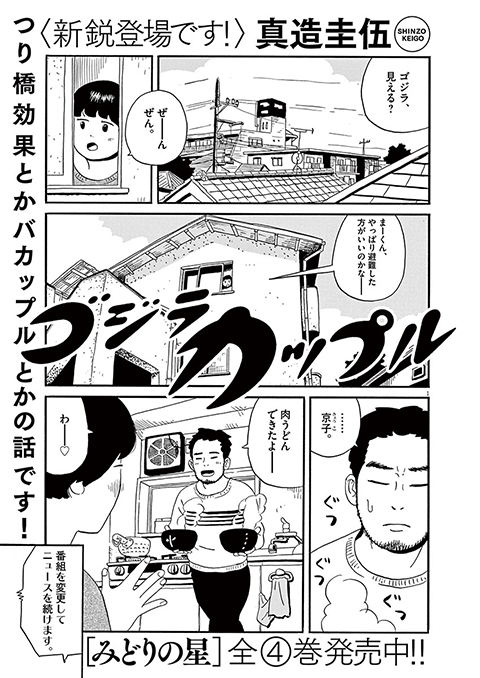 Big Comic Original Extra "Godzilla Special" Issue Available Now! 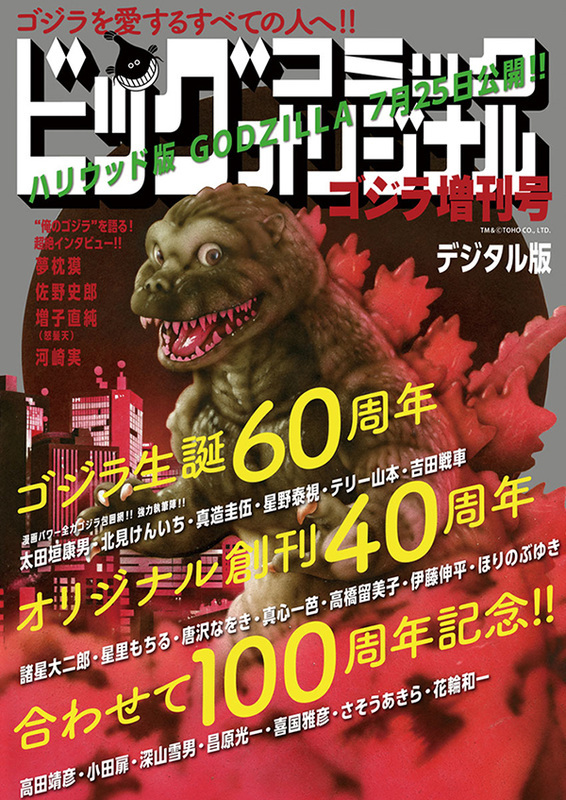 With the release of the new "Godzilla" film, this "Godzilla Special" issue celebrates 100 years of history; Godzilla's 60th birthday and Big Comic Original's 40th anniversary. 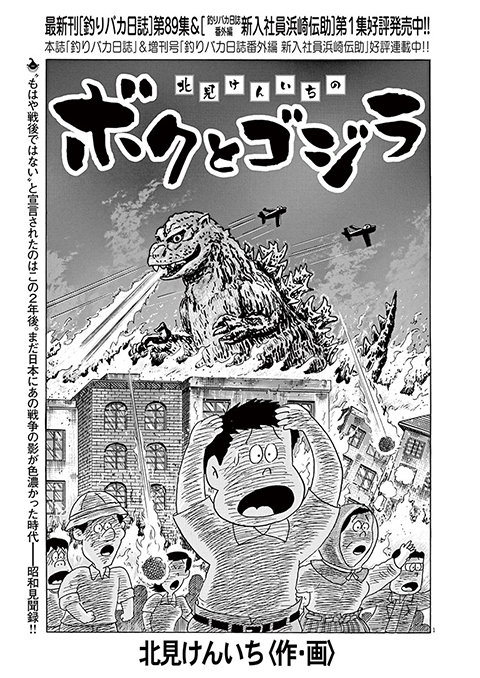 A total of 20 authors including Rumiko Takahashi (Urusei Yatsura), Kitami Kenichi (Tsuribaka Nisshi), and Keigo Shinzo (Bokura no Funka Matsuri) have passionately created works brimming with their love for Godzilla. 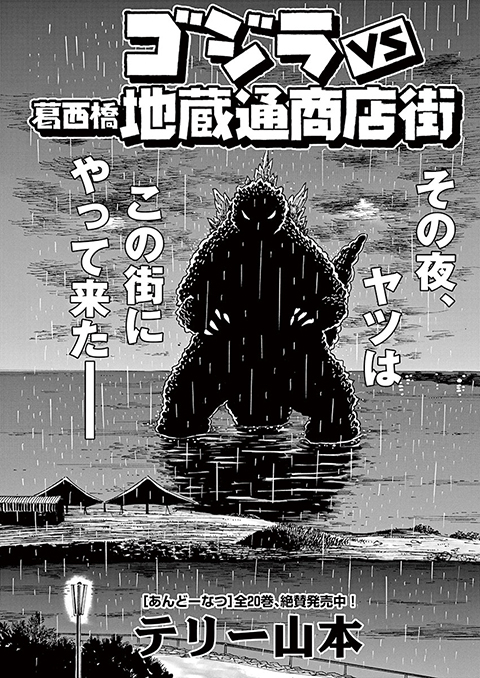 Additionally, this issue is full of special features like interviews with celebrity Godzilla fans Shiro Sano, Baku Yumemakura, and Masuko Naozumi (of Dohatsuten) in which they each reflect passionately on what Godzilla means to them. 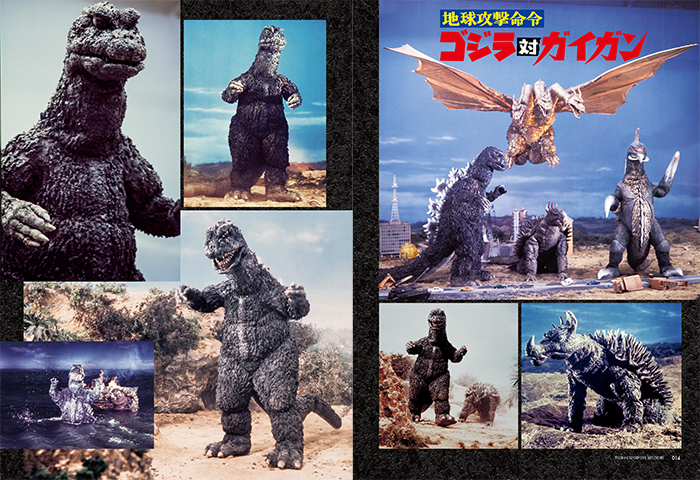 Also included are a chart showing Godzilla's evolution and a summary of a round-table discussion with Godzilla fans. 1. "60 Years of Godzilla, King of Monsters"
An introduction to the history of Godzilla along with a chart showing how the monster has changed over the years. 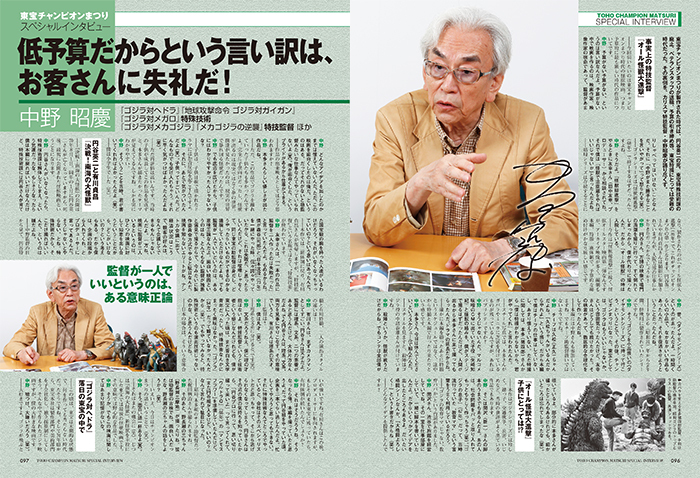 Film director Minoru Kawasaki talks all about the new Hollywood big budget Godzilla movie. 3. 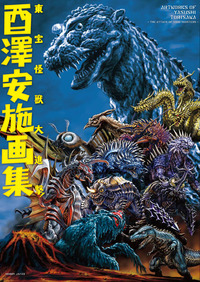 "Godzilla vs. Godzilla Fans: The Greatest Conversation on Earth"
A summary of a 7 hour roundtable discussion between kaijuu (giant monster) loving manga authors Nobuyuki Hori, Sensha Yoshida, and Naoki Karasawa, as well as Fuyuki Shinada, a molding artist with previous experience working on Godzilla suits. 4. "Godzilla Fan Interviews: Roar at Godzilla!" Actor Shiro Sano, author/photographer Baku Yumemakura, and musician Masuko Naozumi (of the band Dohatsuten) each give passionate interviews on what Godzilla means to them. 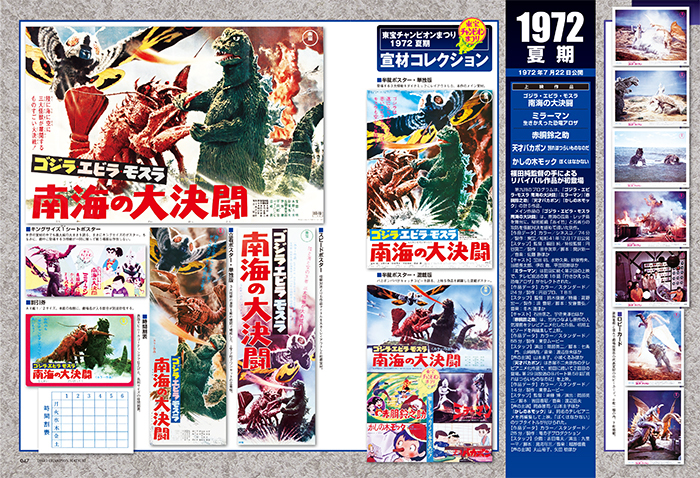 Artworks of Yasushi Torisawa: The Attack of Toho Monsters is a new art book being released to celebrate Godzilla's 60th Anniversary, below is the description from Hobby Japan's website. 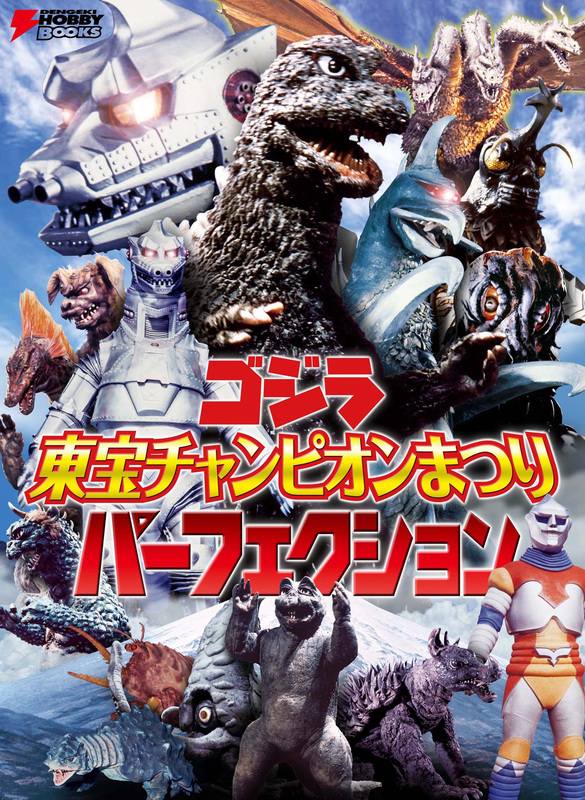 Toho monster Godzilla and the monster designer of contemporary stamps draw flocks! Toho Godzilla and buzz at home and abroad with the public latest movie "GODZILLA" and the 60th anniversary, "Godzilla" birth guru-ToriSawa depreciation of facilities monster design in present-day draw with detail and a unique touch, at dynamic movement lively, a monster. I record and sketch illustrations column was serialized special effects magazine "Spaceship" and "Toho Monsters advance", the design work of Toho special effects ToriSawa dealt with in the past. Cover, pinup, door page! Drawn will be the first full public also, this book is a faithful reproduction of the richly-colored, such as King Ghidorah and Mothra drawn by the ToriSawa by the high-resolution printing. It is possible to thoroughly enjoy the beautiful is.